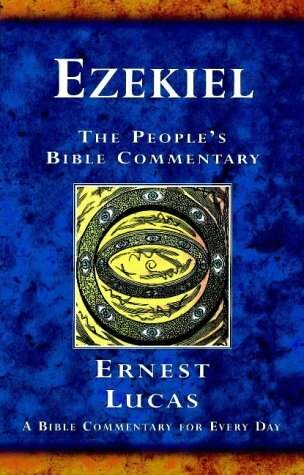 Unlike some books in the bible, Ezekiel contains many precise dates and even places linked to the oracles. The prophet's ministry begins by a river in Babylonia in 593BC, about five years after the Babylonians conquered Judah and about seven years before the cataclysmic fall of Jerusalem and the temple. That ministry continued for at least 22 years of his nation's exile from their homeland. The book opens with a vision of the majesty of God contrasted with the frailty of mortals, and this vision colours the prophet's attack on the sinfulness of Israel. Time and again he attacks the idolatry and apostasy of God's chosen people, while maintaining a hope for the future. This hope is based not so much on the possibility of Israel's repentance as on the belief that God would act to reveal his glory to the world, one day restoring the nation to their own land and thereby defending the honour of his name. The People's Bible Commentary (PBC) is designed for all those who want to study the scriptures in a way that will warm the heart as well as instruct the mind. Ernest Lucas is a Baptist Minister who has pastored churches in Durham City and Liverpool. For some years he was Associate Director of the London Institute for Contemporary Christianity, before becoming Vice-Principal and Tutor in Biblical Studies at Bristol Baptist College. At Bristol he teaches courses on biblical interpretation, the Old Testament and biblical languages. His interest in the Old Testament prophets is has led to him writing both the Peoples' Bible Commentary on Ezekiel and the Apollos Old Testament Commentary on Daniel (2002). Another area of interest is expressed in Explore the Old Testament, Vol. 3: The Psalms and Wisdom Literature, (SPCK, 2003). Before studying theology and being ordained as a Baptist Minister, Ernest worked in biochemical research. He has doctoral degrees in both science and biblical studies. He has maintained an interest in developments in science and in the relationship between science and faith. As well as teaching a course on this in Bristol, he has written a number of books and articles on the subject, most recently, Can we believe Genesis today? (IVP, 2001). Ernest is married to Hazel, a physics teacher, and they have two adult sons. He enjoys researching his family history, going to the theatre, watching cricket, exploring iron-age hill forts and reading historical novels.